Christy Corbitt Miller dancing the role of the Sugar Plum Fairy. Entire contents copyright ©2013 Fearless Designs, Inc. All rights reserved. The appearance of the Sugar Plum Fairy is one of the most magical moments in ballet, which is exactly what Tchaikovsky intended. On March 19, 1892, the composer introduced his St. Petersburg audience to the ethereal sound of the celesta, an instrument he described as a hybrid of a tiny piano and a glockenspiel. The sound has become as synonymous with the dance of the Sugar Plum Fairy as The Nutcracker has become with Christmas. Regardless of the season, those twenty notes are all that is needed to evoke the joys of the holiday. I spoke recently with Christy Corbitt Miller, one of the artists who will interpret the role of the Sugar Plum Fairy this winter in Louisville Ballet’s The Brown-Forman Nutcracker. Scott Dowd: Tell me about your life. Where did you start? Christy Corbitt Miller: I started my life in the suburbs of Atlanta, Georgia. I started “Nutcrackering” there when I was very young as part of a regional pre-professional company. CCM: As opposed to being part of a school attached to a professional company like the Louisville Ballet School. When my school produced The Nutcracker, we did all the roles: young dancers started out as an angel or a mouse and worked their way up to roles like the Sugar Plum Fairy or the Nutcracker as they got older. When you have a school attached to a professional company like we have here, those bigger roles are filled by Company members. For me personally, I started out as an angel and had dreams of being the next thing and the next thing and eventually…the ultimate! SD: Just how young were you when you began dancing? CCM: A lot of people begin when they are three years old. I started ballet when I started first grade. I stayed in that school until I graduated from high school. SD: So that was your entire childhood. Did you do other things? Did you play soccer? CCM: Piano…for a short while. Scheduling became too difficult and there came a time when I had to make the choice. I had homework, and ballet was two, three, four times a week and all day Saturday. I promised my mom I would pick it back up again someday. SD: Have you made good on that promise? CCM: I have. It’s recreational. There just weren’t enough hours in the day to become a concert pianistand a professional ballet dancer. SD: So your parents were a big part in all of this. CCM: Yes and no. My parents have been extraordinarily supportive of anything I wanted to do regarding dance. But they kept themselves apart. They never wanted me to wonder if I got a part because of how much my parents contributed. They were exactly what I needed them to be. I didn’t know that then, but I appreciate it now. SD: Do you teach at the Louisville Ballet School? CCM: I did until eighteen months ago when my daughter was born. Now I rush home to be with her. SD: Are you seeing an increase in the number of boys attending ballet school? CCM: I think there are. The stigma seems to be less prevalent. SD: Are they starting younger? CCM: Yes, they are and I hope that more will over time. There are some gentlemen here who began as teenagers. It’s rare for a woman to start that late. SD: But that isn’t just a preference. Professional dancers, especially women, typically start young. CCM: If you think about the skeleton, dancers fight against nature. We need our feet turned out, and that is not what most of us are built to do. We have to train our ligaments and tendons and strengthen muscles that usually carry a lighter load. Our bones actually form differently to allow us to work en pointe. The closer we get to adulthood, the more difficult it is to make those adaptations. SD: And then there is all the technique. CCM: And then there is technique, of which there will never be enough. It will never be perfect, which is what is so fun and challenging. SD: Let’s discuss your technique. Do you approach a role objectively? Or does it develop organically? CCM: For me, it’s more from the inside out. I know how certain things should feel, especially now that I’ve been at this for a while. Having a baby has also made me more aware. In coming back, I’ve rediscovered all the little muscles that atrophied. Knowing how things should feel, what muscles should be firing, and finding those again has been a learning experience. SD: How do you create a role like the Sugar Plum Fairy? CCM: I always think about the character first as a human being – not as a dancer. SD: Is every role a character in that you are something other than yourself? CCM: Not always. 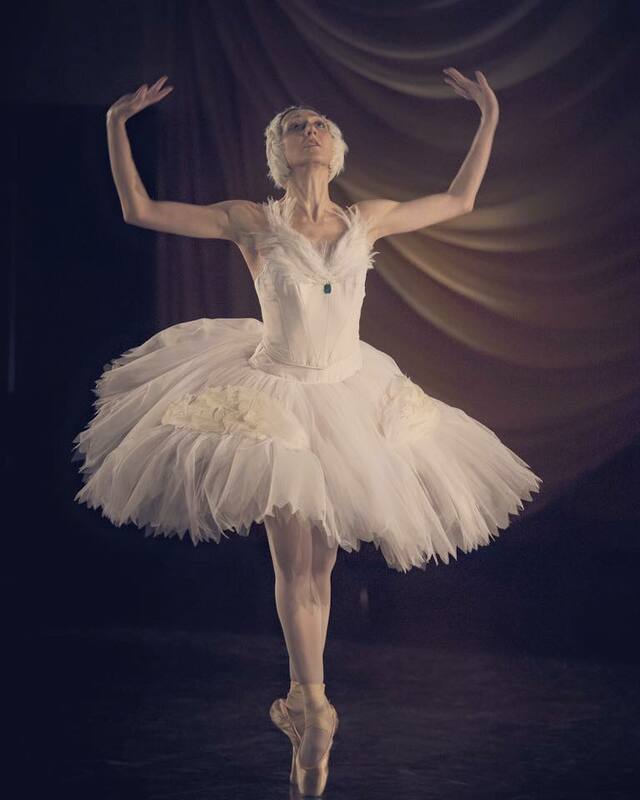 Some ballets are really more about technique than about creating a persona. It’s showing your body and your line and demonstrating technique and knowledge as opposed to trying to be a nineteenth century peasant woman. SD: So there is no single approach. CCM: Fortunately, not with this company. SD: The Brown-Forman Nutcracker is set to begin December 7. You will be dancing the role of the Sugar Plum Fairy again this year. Tell me about your first experience with this show. CCM: My little angel self. We hardly did anything but hold our candles and skitter across the stage. I learned something even then about communicating with children. SD: It must have made an impression. CCM: Yes! In all the rehearsals, they told us, “You’re going to be following the bed” that Clara was in. “Follow the bed.” What they didn’t tell us was that there was going to be someone under the bed making it move! 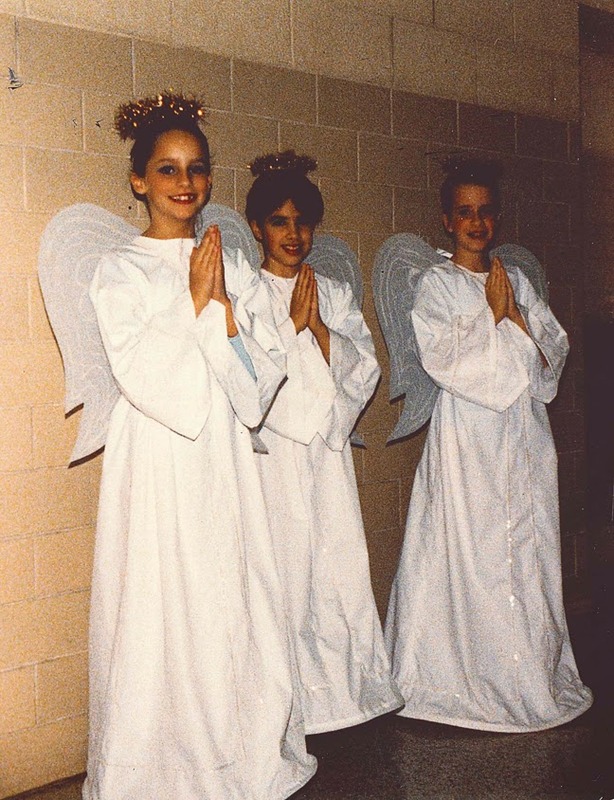 I was the first angel in line…directly behind the bed. First dress rehearsal, which was also the final dress rehearsal, we’re all in costume, in our makeup, the lights are on, everything is ready to go, when from under the bed comes this gruff male voice saying, “All right girls. Come on!” I just stood there staring in horror with my mouth open! That was my first experience with The Nutcracker. SD: You danced your way up through the ranks. Did you have favorite roles that you hated to leave? CCM: I think, because there are so many young dancers involved in every production of The Nutcracker, wherever it is, they want to grow up to be the Sugar Plum Fairy. But when I started out, I couldn’t wait to be a party child. Then I couldn’t wait to be a soldier. Every year I watch these babies watching the snowflakes. The snowflakes may be thinking, “I want to be the Arabian dancer” or “one of the dolls in the party scene”; but the babies all want to be a snowflake. SD: So the Sugar Plum Fairy is not the pinnacle? CCM: Yes and no. Everybody is different. There are a lot of great roles in the show, including Marie. CCM: Yes. That role is now danced by a company member rather than a child. When Val Caniparoli choreographed his version five years ago, he went back to the original story. In E.T.A. Hoffmann’s story, the daughter’s name was Marie, and Clara was one of her dolls. SD: How old is she in this version? CCM: Val never gets too specific with her age, but she is probably a preteen or just a teenager. There are four or five of us who share that role as well. SD: You don’t dance the same role every performance? CCM: No – we have to rotate to give our bodies time to recover. It also gives other people an opportunity to dance. But Marie is a fun role because she gets to dance the “Snow pas de deux,” which is glorious. SD: You have been with the company here in Louisville for eleven years now. Are there other big changes from the Alun Jones version being performed up until five years ago? CCM: Absolutely. Marie being danced by an adult has made a huge difference. In Alun’s production, the Snow Queen became the Sugar Plum Fairy. In this production, you see two different people, which gives more people an opportunity to dance and adds a layer to the show. There is also a lot of magic involved in this production. Val’s pacing is pretty brisk as well, so the audience doesn’t get much down time. SD: Have you ever had the opportunity to see the production with an audience? CCM: I have and what I love about it, sitting in the audience, is that it looks like a storybook tableau. When the curtain goes up, you are immediately embraced by the magic of the ballet. It’s such a special time of year, and this experience puts you right in the mood to enjoy it. SD: I’ve seen mothers in the audience whom I remember as little girls in velvet gowns waiting for the curtain to rise. As a dancer, do you ever lose your enthusiasm? CCM: It’s been two-thirds of my life, so I can’t imagine the holiday season without it. And the generational element you described keeps it new. Every year is some child’s first experience of TheNutcracker, both in the audience and on stage. SD: You mentioned the younger children and their desire to ascend the metaphorical steps of the ballet as you did. How many carry on from year to year? CCM: Sadly, as the years go by, the numbers get smaller and smaller. Ballet takes a great commitment, and a thousand obstacles present themselves. Choices are made. But almost every year, we have one or two Louisville Ballet students who performed with us as children in The Brown-Forman Nutcracker join the company as trainees. It is wonderful to see them progress from that stage to company member. SD: A dancer’s life is hard and it can’t be for everybody. It must have been a lot of work for you to come back after the birth of your daughter. CCM: She was born April 1 of last year, so I had the whole summer to prepare for coming back last August. It took a year for me to even feel remotely normal again. But after eighteen months, I do think I’ve made it to whatever my new normal is. SD: It won’t be too long until she is ready for first grade. Will you encourage her or discourage her from studying ballet? CCM: I’m going to let her tell me. If it’s something she wants to pursue, then we will. But I have no need for her to follow in my footsteps. I know what dance has given to all of us here in terms of discipline and life skills. But we will support her in whatever she chooses. SD: You have said a couple of times that this production of The Brown-Forman Nutcracker gives more people the opportunity to dance. Artistic director Bruce Simpson has made some changes in the company’s structure – a shift to an ensemble company – to address that as well. How is that affecting the dancers now that we’re a few seasons in? CCM: I love it! I think that it has liberated Bruce to give people opportunities that were not there when we had “Principals” and “Soloists” to consider first. We have seen some magic from people who might not otherwise have had the opportunity to dance certain parts. And it is a recognition of who we really are. Louisville Ballet is an ensemble. Our numbers are not massive and we are very family-oriented. I love this group of people. SD: Isn’t it always that way? I can say that in Louisville we genuinely want each other to succeed and do well. I think the move to an ensemble company was a case of form following function. SD: What companies have you been with in your career? CCM: I danced with Atlanta Ballet, Texas Ballet Theatre (Ft. Worth), Ballet Memphis and Ballet Dallas. SD: How did you end up in Louisville? CCM: I followed Bruce. We first met when he came to Ft. Worth to set his Swan Lake in 1999. After working with him over the years, I decided to follow him to Louisville. SD: The Louisville Orchestra has not been available for a while. Will they be in the pit for some of this season’s performances? CCM: With the exception of the student matinees, Louisville Orchestra will be with us for the entire run of The Brown-Forman Nutcracker this season! I would like to say thank you again, Brown-Forman, for underwriting the Orchestra for all of the public performances. SD: Is it very different dancing to recorded music? CCM: Vastly different, especially when you are on stage. For example, in terms of performance, one of my favorite parts with a live orchestra comes at the very beginning of “Waltz of the Flowers.” As the Rose, you come out alone and the harpist plays a freely interpreted opening. For me, it’s like electricity because there are just the two of us and we are collaborating in real time. I’m listening to her and we are creating a moment that only exists for that audience on that day. It requires my full attention and puts me at the top of my game. SD: So this is good for the Louisville Ballet and the Louisville Orchestra as well as for the audience. CCM: The dancers are thrilled. I’m sure the musicians of the Orchestra are thrilled. The Brown-Forman Nutcracker is a vital community event. With the return of the Louisville Orchestra this season, our community has so much to celebrate. My hope is that parents and grandparents will make this the year to introduce the young people in their lives to this wonderful experience. The Brown-Forman Nutcracker returns to Whitney Hall December 7 and continues through December 22. Tickets begin at only $30 and may be purchased through The Kentucky Center box office (502.584.7777) or online at louisvilleballet.org.